When Cream of Wheaton began in 1981, who knew the single-day event featuring Cosley Zoo Run for Animals (celebrating its 37th year in 2018) would grow into the now four-day festival called Taste of Wheaton! 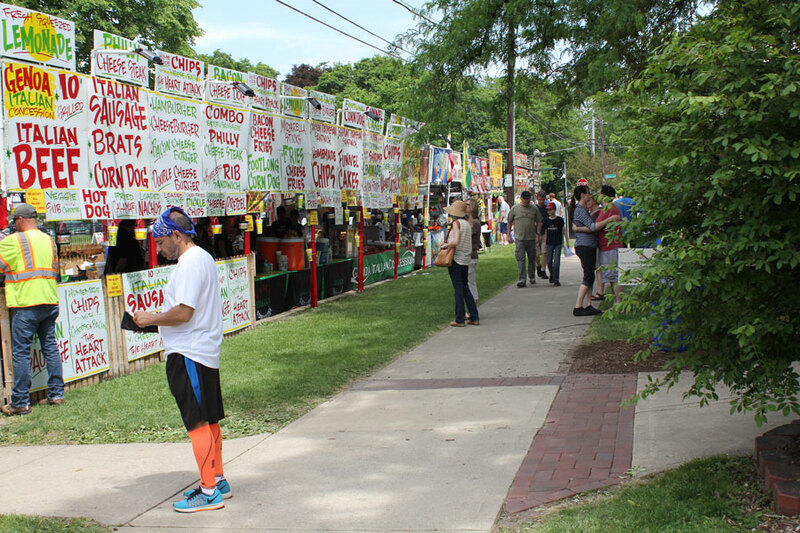 In its 11th year, the 2018 Taste of Wheaton will run in downtown Wheaton from May 31 to June 3, filling several square blocks with carnival rides, the best local food, live entertainment, family friendly games and crafts, a beer garden, business expo, the Cosley Zoo Run for the Animals 5K/10K and ½ Mile Kids’ Run, art and craft vendors and Art in the Park. 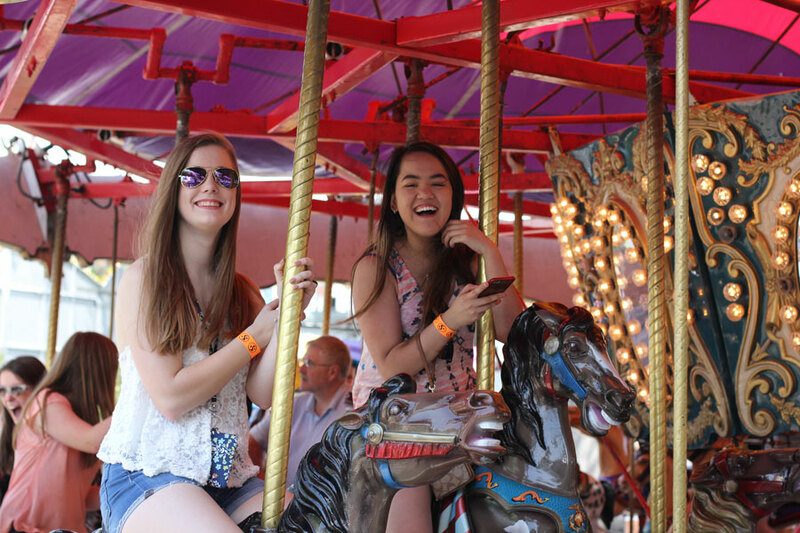 The overall schedule for Taste of Wheaton 2018 is as follows, but please click here for the full schedule of entertainment, activities, food sales, and more, along with a map. 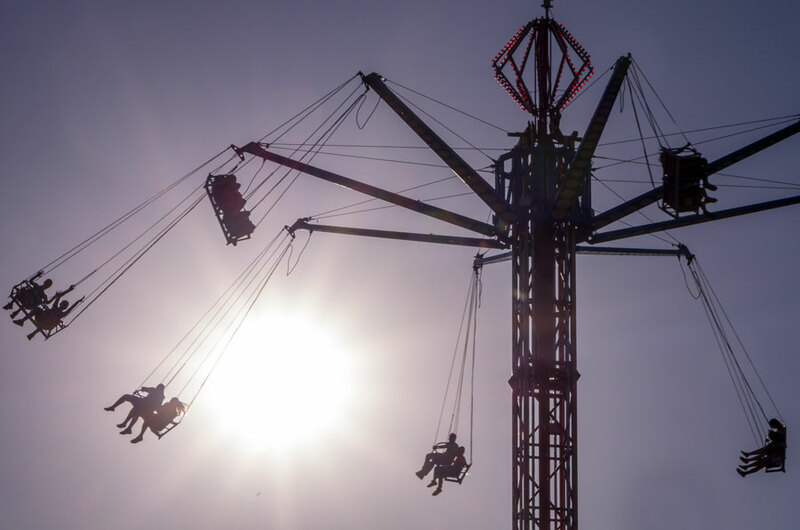 Families can get into the summer spirit at the carnival on Liberty Street, with rides for young and old. 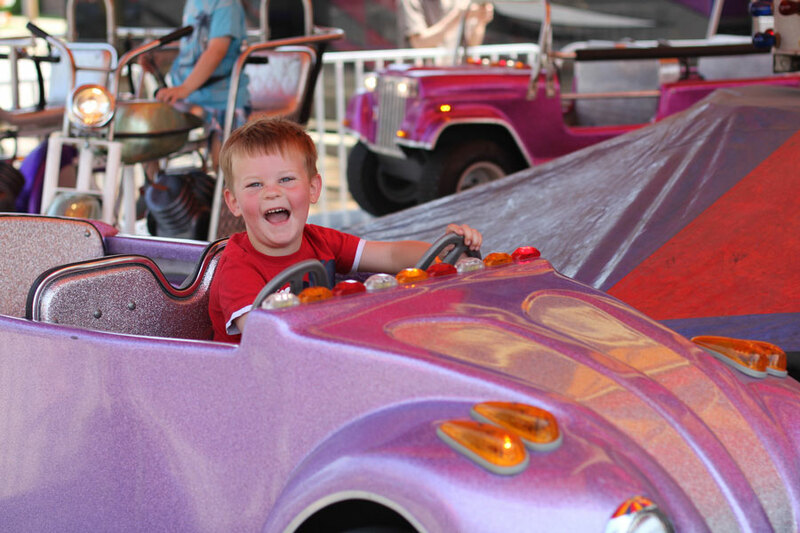 Visit the area for younger children between Cross and Main St. or continue along Liberty to Wheaton Ave. to enjoy games, food and rides for those who are young and young at heart. Music lovers can enjoy a full entertainment schedule, featuring The Hat Guys and Planet Groove Thursday night from 5:30 to 9:30 p.m., Wedding Banned on Friday from 8 to 10 p.m., Hi Infidelity on Saturday from 8 to 10 p.m. and Raise Your Glass on Sunday from 4 to 6 p.m. These acts, plus ten others throughout the free fest, all take the stage in the Memorial Park band shell. Foodies can get their fix from the Taste’s many food vendors as this year’s fest will feature over 28 food vendors with carnival favorites such as loaded baked potatoes, funnel cakes, cheese fries and Italian beef sandwiches. Local treats will also be served from Chouns, Inc., Ivy Restaurant, Nothing Bundt Cakes, Bliss Culinary Heaven, Muldoon’s, Steamboat BBQ and Coldstone Creamery. Beer connoisseurs from craft to Coors can find something to sip in the beer garden, serving domestic beer, a craft beer selection, pop, water, red and white wine by the glass. The morning of the third day, Saturday, June 2, holds something extra special: the Cosley Zoo Run for the Animals 5K/10K. Marking its 37th year, the run is one of the zoo’s biggest regular fundraisers, supporting the development and renovation of its exhibits and the superb stewardship of its animals and the environment. Both race routes wind through residential Wheaton, and the 10K route makes a loop through Northside Park. 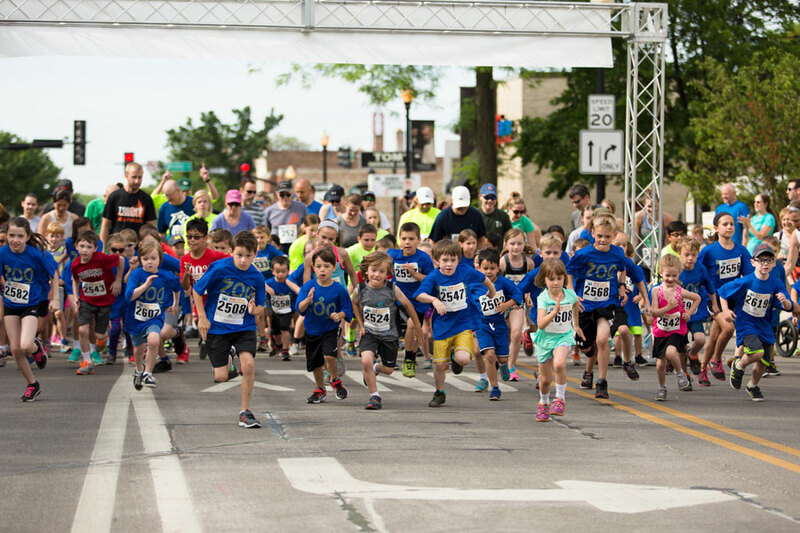 It’s not only adult athletes getting their weekend workout and supporting the zoo, as kids can dash through the ½ Mile Kids’ Run. It is perfect for those ages 10 and under looking to try their first race and all participants receive a medal. Also on June 2 from 11 a.m. to 4 p.m., Hale St. will fill with kids’ activities perfect for ages 8 and under. Activities will include Touch-A-Truck, a toy clinic with DuPage Medical Group, character visits, a tie dye station, face painting, magician, balloon artist, DJ, bucket drum and ukulele demonstrations and a free take-home art project with Sipping Muse. Admission to the Taste of Wheaton 2018 is free. To learn more and to see the full schedule of activities, visit tasteofwheaton.com. The presenting sponsor of Taste of Wheaton is First Trust Portfolios located in Wheaton, IL. This article is sponsored by Wheaton Park District. All photographs and editorial content are property of Wheaton Park District. Be the first to comment on "Taste of Wheaton and Cosley Zoo Run for the Animals"